George de la Courtine. 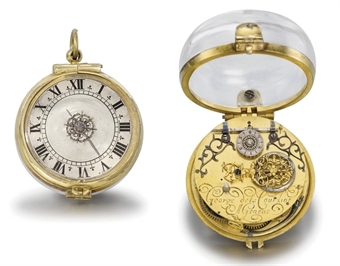 A rare and early gilt metal and rock crystal pre-balance spring verge watch. Signed George de la Courtine à Genève, circa 1650.